You, your family, and your guests won't be able to get up once they've sat down in this little slice of heaven. Its contemporary style and silky smooth walnut color make it perfect for blending in with any home design you already have going. 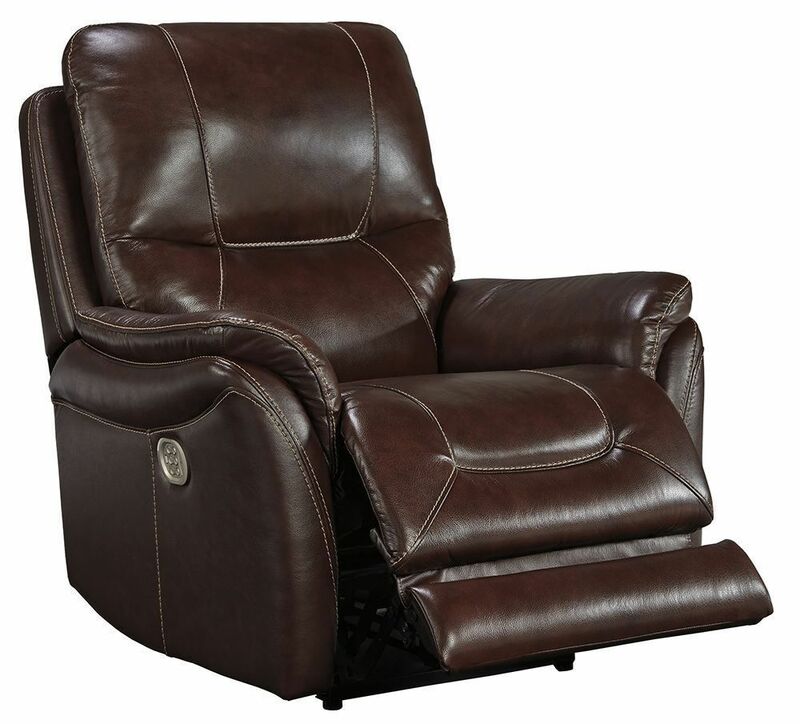 With a power reclining mechanism, an adjustable headrest, and a USB charging port, you'll never want to get up! 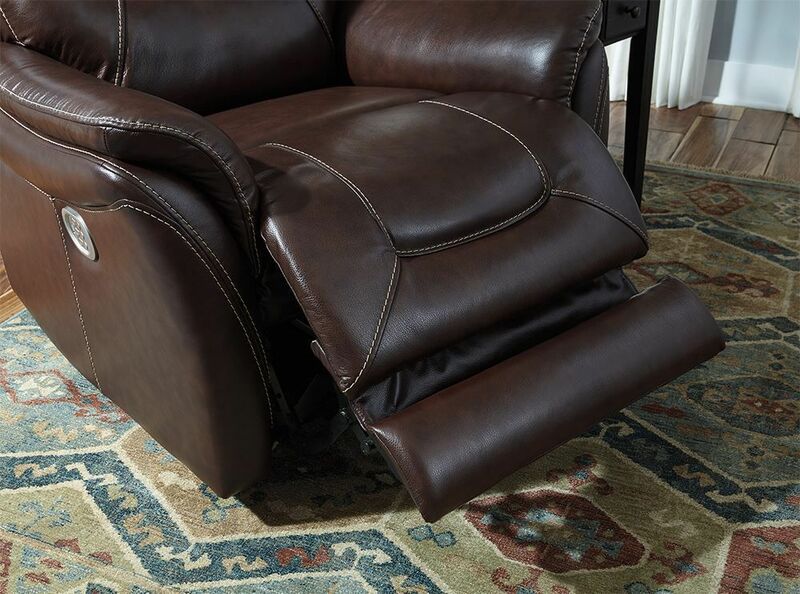 Extreme comfort awaits you. 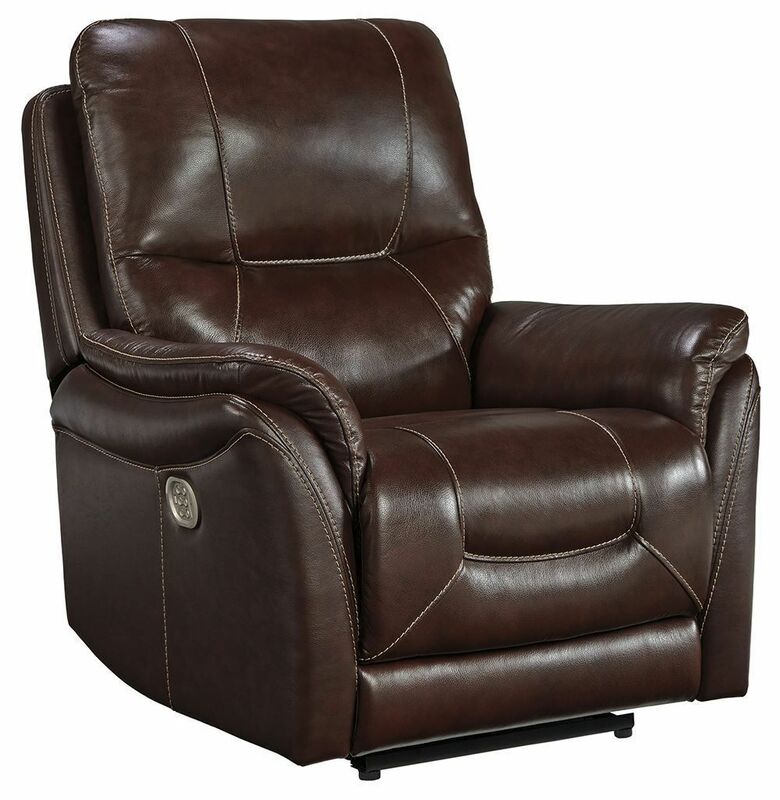 Take home the Stolpen Walnut Power Recliner today! 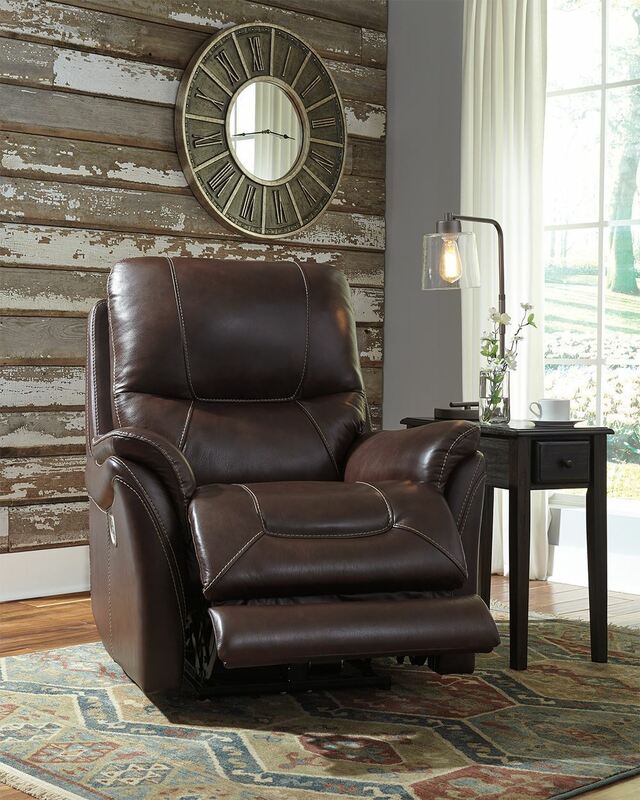 Sitting in a chair has never been this nice.. until now with the Stolpen Walnut Power Recliner! 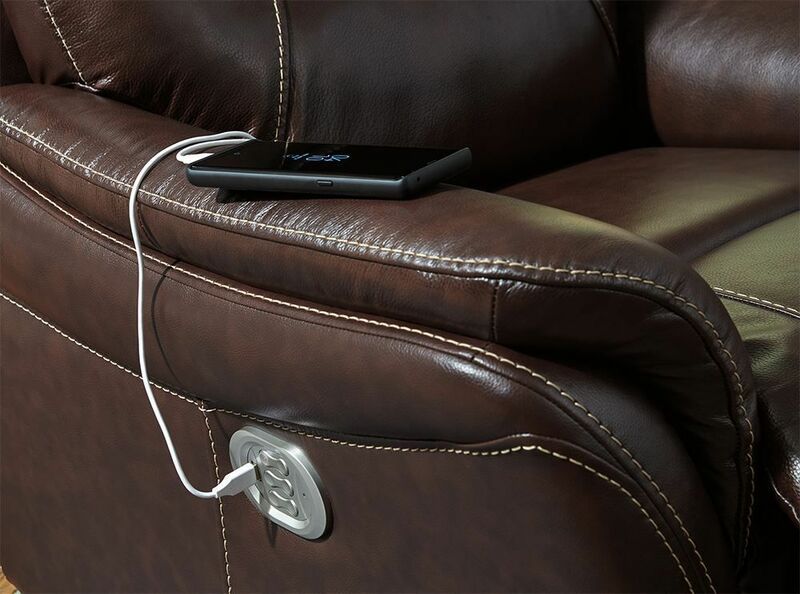 You, your family, and your guests won't be able to get up once they've sat down in this little slice of heaven.